Bud & Alley’s Taco Bar is a colorful outdoor spot to grab some South-of-the-Border food and libations. 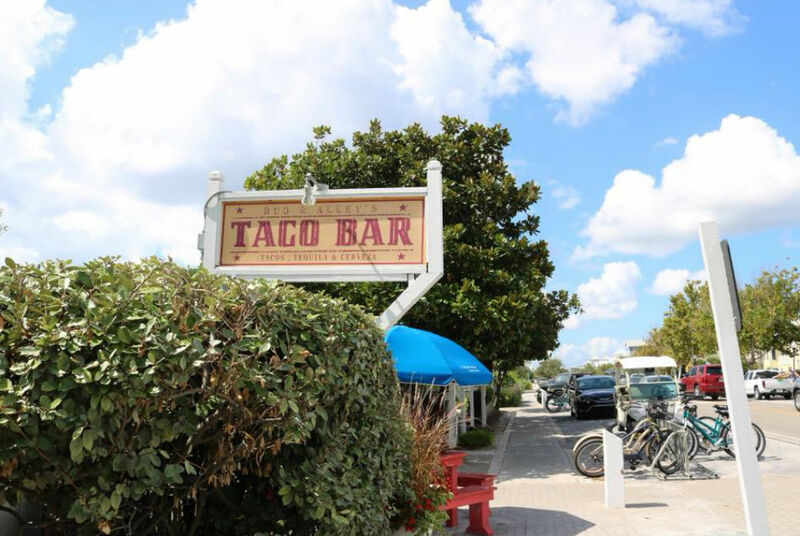 Taco Bar is located in Seaside. Update Feb 2019: Taco Bar is in a temporary location near Bud & Alley’s Pizza Bar while construction is happening at the main Bud & Alley’s building. Not to worry, great food is still being served! There are currently no special events scheduled at Bud & Alley’s Taco Bar. Click here to add an event.